In Bookinglayer, you can set different rules for last minute bookings. In your Settings, you can define last minute bookings (how many days prior to arrival? ), set rules with regards to the deposits that need to be paid, and set all last minutes bookings to manual confirmation. Let us show you how. 4. 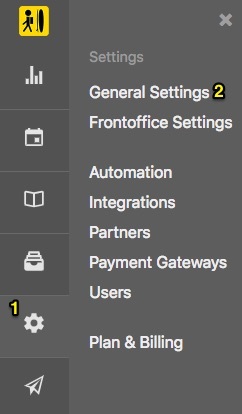 Set up a default deposit percentage for all normal bookings. 5. 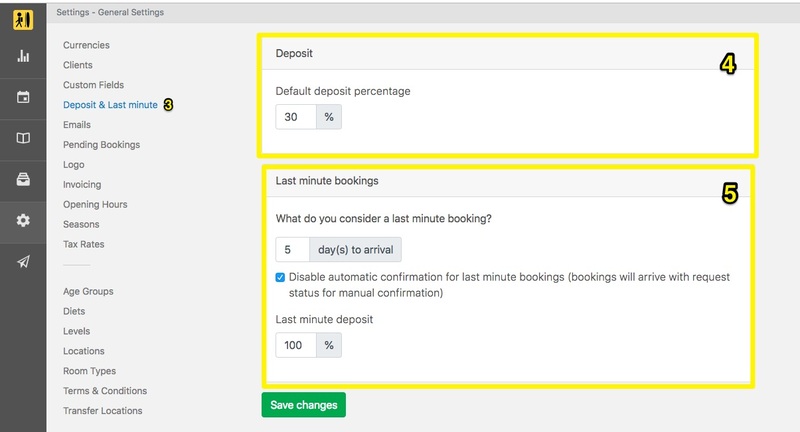 You can also choose a different deposit percentage for bookings that are made within a certain timeframe of the check-in day (last-minute bookings). E.g. In the screenshot below, the default deposit is set to 30%. If someone books with less than 5 days prior to arrival, the deposit changes to 100%. Important: You can disable the automatic confirmation for last minute bookings. If this option is selected, bookings will always come with a request status and will need manual confirmation.